The brand new Badlands Pro Jacket and Pant from KLIM represents the latest design, fit and material technologies available to the premium adventure motorcycle market. 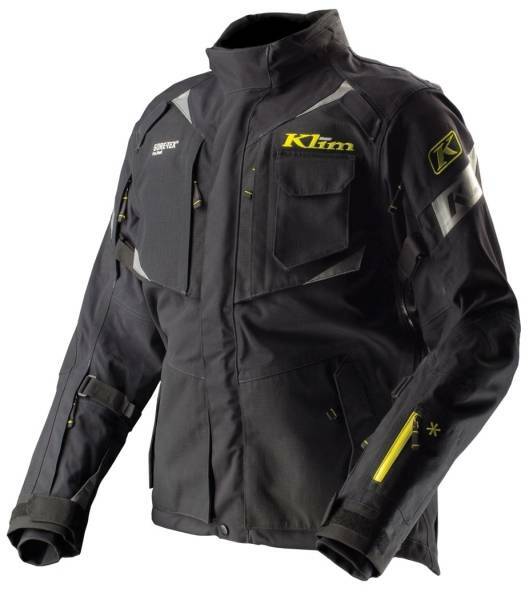 Inspired by the ultimate performance of the unmatched Adventure Rally product line, the KLIM Badlands Pro focuses on a sleek, un-inhibiting fit, durable-yet-comfortable fabrics, high-end integrated armor and the undeniable performance of our GUARANTEED TO KEEP YOU DRY® GORE-TEX® promise. Ready for anything, and boasting unique features youve come to expect from KLIM, the Badlands Pro is ready for any ride. URETHANE COATED IN EXPOSED AREAS.